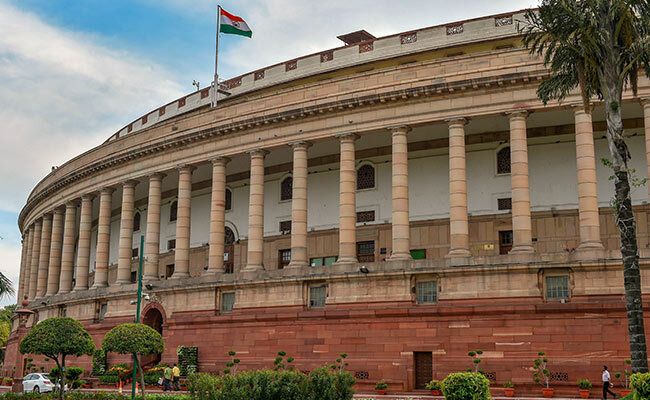 Election for the post of Rajya Sabha deputy chairperson will be held on Thursday. New Delhi: Opposition parties that were uneasy with a Congress candidate for Rajya Sabha deputy chairperson election, have decided to end their differences and back the candidate, sources said, putting the anti-BJP front back on track. The Congress will field BK Hariprasad, a 64-year-old lawmaker from Karnataka. He will be up against Harivansh Narayan Singh, a first-time lawmaker from Nitish Kumar's party. The Akali Dal, which was considering abstention, will vote for Harivansh Singh on Thursday. "The party has taken the decision after a detailed discussion. There is no support from the government but we have support from opposition. Let's see what the party decides and then we will let you know," BK Hariprasad told reporters. The government is expected to field Harivansh Narayan Singh, a 62-year-old first-time lawmaker from Nitish Kumar's Janata Dal United. He is described as a candidate who has friends across the political spectrum - an important qualification to manage House. The Congress decided to field a candidate last evening after Sharad Pawar's party, which had agreed to field Vandana Chavan, backed out after Naveen Patnaik indicated that his party would not support her candidature. The NCP said it needed the backing from both Shiv Sena and the BJD. Other opposition parties too were reluctant to project a candidate. Early in the discussions, the Trinamool Congress said it would not field Sukhendu Shekhar Roy or anyone else, and was ready to back a consensus candidate. After the Congress informally picked a candidate last evening, TMC and other opposition parties had indicated that he was not a consensus candidate. In an election seen as a test for opposition unity ahead of next year's general polls, it signaled a serious complication. The government is counting on support from the AIADMK, K Chandrashekar Rao's TRS and Naveen Patnaik, which will give it 123 votes. To win in the 245-member house, a candidate needs 123 votes, but abstention will bring down the majority mark. The opposition has 117 seats -- including Chandrababu Naidu's TDP. Arvind Kejriwal's AAP and Mehbooba Mufti's PDP, which between them have five seats, have indicated that they will support the opposition candidate. Support is also expected from the DMK, which has 4 seats. Altogether it gives the opposition 126 seats. The figure will increase by 2 more if the YSR Congress, which has refused to support the BJP, votes for it. The Akali Dal said it would support the NDA candidate after BJP chief Amit Shah spoke to Sukhbir Singh Badal last night. "The Akali Dal is standing rock solid with the BJP. It would support any candidate the NDA fields for the post," Mr Badal told reporters. The Congress, which with 50 seats is the largest party, had not named a candidate to signal its willingness to work for the common goal of defeating the BJP in next year's general elections. The Shiv Sena is miffed that the government's failure to consult them before deciding on a candidate. The party has said it would take a call on the issue an hour before voting. In the voting during last month's no confidence motion, the party had abstained.